On December 5, 2017, trials will begin for a large number of scholars being prosecuted in retaliation for their endorsement of the Academics for Peace petition. As of today, hearings have reportedly been scheduled for 148 scholars charged with “propagandizing for a terrorist organization,” a crime that carries a sentence of up to seven-and-a-half years in prison. Scholars at Risk has issued the below letter of appeal in support of these scholars’ and their right to peacefully express themselves. Individuals are invited to show their support by signing our individual letter of appeal, here. 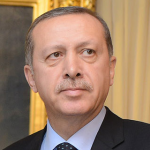 We write to express ongoing, grave concern about a large number of scholars in Turkey who face criminal charges solely as a result of the nonviolent expression of ideas; specifically having signed a petition in January 2016 (the so-called “Peace Petition”), criticizing government policy in the southeast of the country. 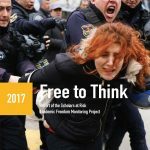 As several of these scholars’ trials are scheduled to begin this week, we once again urge you to take any action practicable to reverse the dangerous and destructive course of the past two years, by dismissing the charges against these scholars and ensuring full protection within Turkey of human rights, including due process, freedom of expression, freedom of association, and academic freedom. Scholars at Risk (SAR) is an international network of over 500 universities and colleges in 38 countries dedicated to promoting academic freedom and its constituent freedoms of thought, opinion, expression, association and travel. In cases involving alleged infringement of these freedoms, Scholars at Risk intervenes in hopes of clarifying and resolving matters favorably. SAR first wrote in connection with this matter in January 2016, after Turkish authorities responded to the release of the Peace Petition by placing its signatories – 1,128 professors and researchers from 89 universities – under investigation. Unfortunately, since that time, and in particular following the July 2016 coup attempt and subsequent declaration of a state of emergency, such pressures have increased, as thousands of scholars, researchers, administrators, and students, among others, have been targeted with criminal investigations, detentions and prosecutions; suspensions, terminations and expulsions; and restrictions on travel. Peace Petition signatories have faced particularly harsh attacks, with nearly half of them suffering professional retaliation and/or being banned from leaving the country. As SAR and others have noted previously, the mass actions taken by Turkish authorities against the Peace Petition signatories, among others, appear to be based solely on their nonviolent expression of an opinion on a matter of legitimate academic and public concern. We were therefore dismayed to learn that, on September 23, Turkey began issuing indictments against Peace Petition signatories, charging them with “propagandizing for a terrorist organization,” a crime that carries a sentence of up to seven-and-a-half years in prison. Although the total number of these indictments has not been made public, we understand that authorities are bringing charges university-by-university, against multiple signatories each day. To date, we understand that scholars from at least ten universities in Turkey – including İstanbul, Galatasaray, Boğaziçi, Mimar Sinan, Nişantaşı, Yeni Yüzyıl, Mimar Sinan Güzel Sanatlar, Marmara, Ozyegin, and Yildiz Technical Universities – have been summoned to court beginning on December 5. The ongoing prosecution of these scholars remains a grave violation of Turkey’s obligations under the International Covenant on Civil and Political Rights, the European Convention on Human Rights, and related instruments and standards. Not only do these actions strip the individuals of their rights to academic freedom, freedom of expression and freedom of association; they also threaten to do irreparable harm to Turkey’s higher education sector, and to its democracy. publicly reaffirming Turkey’s commitment to the essential values of higher education and research, including academic freedom, freedom of expression and freedom of association. We appreciate your most urgent attention to this matter and look forward to your earliest reply. A PDF copy of SAR’s letter can be downloaded here.